If you are a business owner or a company, you will agree that the core thing needed to grow a business is good customer relationship. And how do you grow your customer base and relationship if not through marketing. Now, you might be used to the traditional ways of carrying out your marketing campaigns but is that really enough? Or has the results been what you estimated? Even if your answers are “YES”, you will agree that there is always room to improve, and that’s what the Momentum Blockchain Platform has done to the world of marketing. 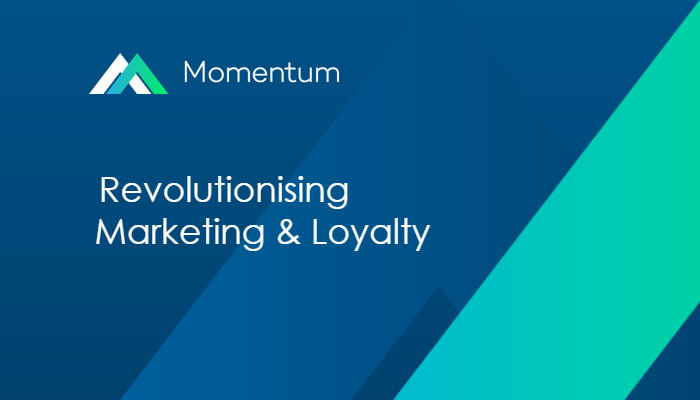 Having the Blockchain embedded in its system of operation, Momentum is the first ever cryptocurrency based marketing automation platform that provides a medium where businesses can reward their customers for their attention, support, and insight. By transforming the marketing world it has been able to give companies an innovative way of building customer relationships and loyalty. Businesses on the platform can reward customers for supporting their brand, for instance for buying or putting a review about a pair of sneakers. All these information give the business a sense of understanding about that customer trends, behaviour, and of course needs, and they can be used to further improve on their services. Momentum is blockchain-based and as such has an in-app crypto-token known as MobileBridge. It is with this token that companies on the platform reward their customers for their attention, data insights, and brand and business advocacy. Not just that, this token acts as a loyalty token, gateway token, platform payment currency, and of course a cryptocurrency. The MobileBridge token also provides customers with marketing that is of value to them, and also a share in the brand or company which they support. March 26, 2018 has been slated as the date for the start for the public sale of the MobileBridge Momentum Token and will go on for 4 weeks or when the Hard Cap has been reached. The Momentum platform is managed by an extraordinary team that comprises of highly reputable individuals from Germany, Switzerland, Israel, US, UK, and Netherlands. These individuals show passion for ground-breaking technology, and also have astounding knowledge in all the necessary areas for a successful Marketing Automation Blockchain Platform. The marketing world is changing and businesses are in need of a platform that will match this change. And the Momentum platform is here to do just that. Now businesses can easily market their products and services, while at the same time create a strong customer relationship and loyalty. They also reward their customers with the MobileBridge token for their attention, support, and loyalty. Marketing is sure to change for the better!